I want to start using your program, will it remain free? 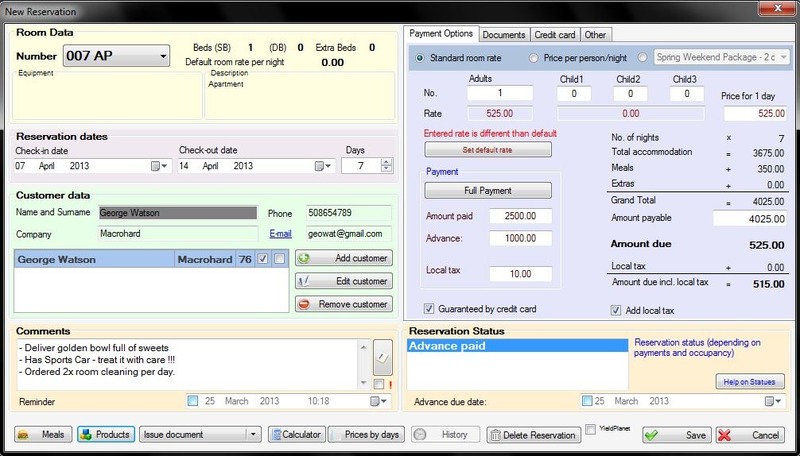 It grants you with an instant access to free hotel management software with legible calendar, customer base and individual reservations. It will never switch to commercial version or force you to pay for existing features. Moreover, you are still entitled to professional technical support and free software updates. If you seek full functionality, KWHotel Standard version is for you. All available modules and functions, professional technical support and frequent updates. All of this awaits you in KWHotel Standard. Those, who want to unleash full KWHotel potential, should check the Pro version. This network version of KWHotel allows you to work on multiple computers at once while maintaining full functionality, technical support and frequent updates. You can find detailed comparison between each of KWHotel versions in Pick Your KWHotel Version section. My country is not listed in the program. 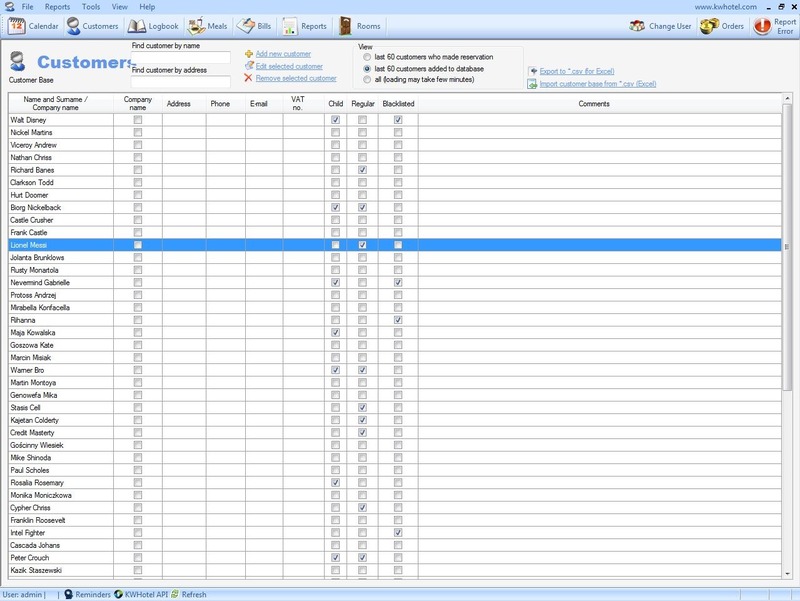 KWHotel software is using Microsoft .NET Framework 2.0 to download the list of countries. This is a bit older version of .NET Framework and thus it does not include all countries around the world. We are planning to fix this issue in one of upcoming patches. Luckily, even if your country is not listed in KWHotel and you select a different one, this information will not be listed anywhere. The only section that makes use of country parameter is report called “Statistical office” which shows the number of domestic and foreign tourists that visited your hotel. I want to use KWHotel Free on many computers. Is it possible? Theoretically, it is possible to use KWHotel Free version on multiple computers. However, you would be limited to one computer at a same time since Free version does not feature network component. Additional problem is that in order to maintain database timeliness, you would have to carry it between each computer you are willing to use. These problems can be easily overcome by purchasing KWHotel Pro version that allows you to work simultaneously on the same database with multiple users. Would it be possible to add/include such option in KWHotel...? KWHotel Team is very open to your suggestions regarding our software development. Every day we receive at least few messages with interesting thoughts and ideas on how to improve KWHotel. We include all suggestions on our “to-do” list, which is growing more and more every day. What is the On-line reservations system? 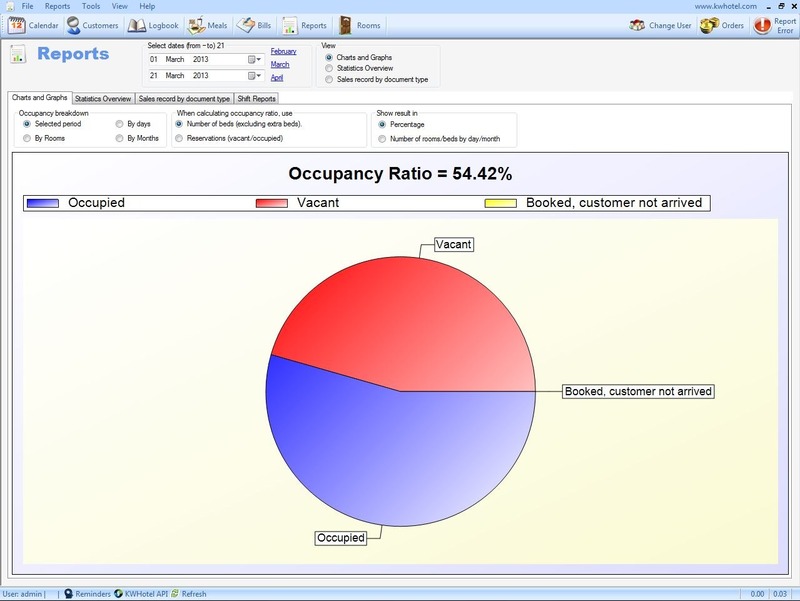 Online reservations system is a unique KWHotel Team application. It requires only a one time payment and we do not charge any commissions for processed reservations. System is located on our servers; we only share you a script that has to be inserted on your website. Due to fact, that online reservations system is connected with KWHotel Pro database, there is no possibility to overbook your hotel. Customer can place a booking only in avaliable terms. System can also be integrated with PayU or DotPay payments so that your customer can pay advance using Internet. All reservations are instantly visible on the calendar in KWHotel Pro and in case of Internet payment, reservation status will be changed automatically. What is the On-line reservations calendar? Available as a free of charge bonus for every KWHotel Pro user, online calendar can be posted on your website. 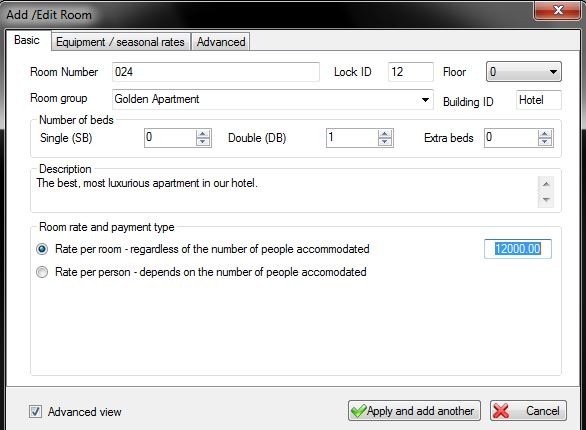 Depending on your needs, it can either show number of available rooms/cottages or beds. Calendar supports multiple languages and additional ones can be easily added. I am interested in one of your KWHotel payable versions. Where can I find the price list? The price list can be found on KWHotel website (Pick Your KWHotel version). In case of any further questions, do not hesitate to write to contact (at) gretor.com. Is there a KWHotel mobile application available? KWHotel Team is currently running final tests of our brand new KWHotel app for Android system. 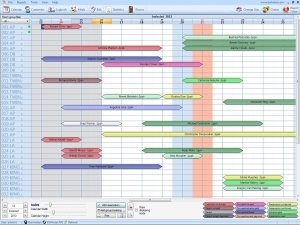 It will allow you to browse your calendar, view reservations, edit them and create new ones. It will work only with Pro version. The release date and approximate cost are still yet to be announced. We do not exclude possibility of creating iOS or web based application in the future. Is there a manual for KWHotel Free/Standard/Pro version? There are manuals available for each KWHotel version. You can download them from “User Guides” section of this website. 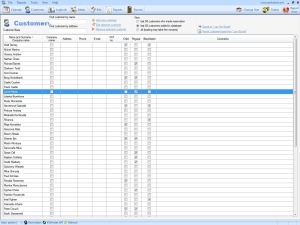 They contain detailed overview of program functions and step by step installation guide. I am interested in establishing partnership with your company. You too can join the KWHotel Team! Become an authorized distributor of KWHotel software in your country! For more information regarding potential benefits of cooperation with KWHotel Team, please contact Us. I would like to translate KWHotel to my language. If you would like to translate KWHotel into your language, please Contact Us. Translators are given free commercial licence for any KWHotel version they pick. Their benefits may be increased if they also agree to translate manuals or our website. I wonder if manual regarding MySQL installation is available? Please go to „User Guides” on and download KWHotel Pro guide, where the newest MySQL installation guide is present. I have been using KWHotel Free for some time and suddenly it stopped working, demanding a licence key. 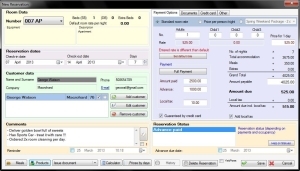 KWHotel Free provides you with an instant, free hotel management software. We do not charge any fees for using it. The only thing that we ask our users for is to register their software after 30 days of usage. It is a free of charge process and we use it only for statistical purposes. Today I started my KWHotel software and update was applied to it. What did it change? KWHotel is our primary application and thus most of our human resources are dedicated to improving it as much as possible. We are aiming to release new updates quite frequently; some of them are just minor fixes but from time to time we are releasing so called “milestone updates” which bring a lot of new content to KWHotel. Our most recent update – 0.43 – has brought custom reports, possibility to add new fields to reservations, improved daily cleaning report and lots of other interesting features. In November, we are planning to release another “milestone update”, featuring improved booking options and entirely new group reservations system. You can check, how each update has improved your KWHotel experience, by visiting our Program Changelog section. I bought KWHotel Standard version and received the licence key. What now? a)Open your e-mail program, select message received from KWHotel Team and download attached file “licence201x.xml”. If having trouble, look for “Download” or “Save” option next to attachment window. c) Proceed to www.kwhotel.com and log in by using data provided in the e-mail. Now proceed to KWHotel Standard section. You will notice that “Download” option is now available. Please download KWHotel Standard. NOTE: Omit this point, if you don`t want to transfer database from the Free version. IMPORTANT NOTE if you are using Windows Vista/7/8: when loading the licence key, start KWHotel Standard by right clicking on KWHotel Standard icon (Located on the Desktop) and select “Run as Administrator”. a) KWHotel will ask you for the licence key. Either type your e-mail and licence key or import the “licence201x.xml” file. Both options will work. Sometimes firewall may block your registration procedure; in such case either add KWHotel to list of firewall exceptions or click “Load licence.xml file” and apply the licence from there. I bought KWHotel Pro version and received the licence key. What now? For more information on how to install MySQL server, please refer to MySQL guide located in “User Guides” section..
a) Open your e-mail program, select message from KWHotel Team and download attached file “licence201x.xml”. If having trouble, look for “Download” or “Save” option next to attachment window. b) Copy file “licence 201x.xml” to the chosen destination (Preferably Desktop to allow you to easily find it). c) Now proceed to www.kwhotel.com and log in by using data provided in the e-mail. Now visit KWHotel Pro section. You will notice that download option is available now. Please download and install KWHotel Pro. a) Start KWHotel program which you want to import data from. b) Choose “File”, then “Create backup”. c) Save backup copy in the chosen destination (Preferably Desktop to allow you to easily find it). IMPORTANT NOTE if you are using Windows Vista/7/8 system: When loading the licence key, start KWHotel Pro version by right clicking on KWHotel Pro icon (Located on the Desktop) and select “Run as Administrator”. b) Type your access data; more information about it can be found in KWHotel Pro section. c) If you haven`t created a database before, click “New DB”. d) When the database is created, either click “Import from KWHotel” or “New Structure”. If you choose to import data from KWHotel Free or Standard, you must choose the database backup that you want to import data from (It`s the .sdf file). e) Finally, click “Remember data” and “Connect”. f) Now KWHotel will ask you for the licence key. Either type your e-mail and licence key or import the “licence201x.xml” file and apply it from there. Is there a possibility to change layout/translation of the documents such as invoices, pro forma invoices, hotel ID cards, etc.? Apart from inserting your company logo, KWHotel documents cannot be customised directly from the program. Such modification has to be prepared by KWHotel Team. Minor modifications such as change of few terms or font are free of charge but more advanced operations may require a small fee. If you would like to customize any document in KWHotel, please send us an e-mail containing the layout you would like to achieve. We will verify it and estimate the potential cost and accomplishment date. You can also ask us to add fields that currently do not appear in KWHotel. Cost might be slightly higher in such situation. have a brilliant idea on how to improve KWHotel! KWHotel has originally been created thanks to suggestions of our befriended hoteliers back in 2005. We have never gave up on this tradition. We are very open to suggestions brought to us by our users. If you have an interesting idea on how to expand KWHotel, please Contact Us We will gladly consider all suggestions and many of them will certainly be included in the future updates. Will KWHotel Free remain free to use after registration? 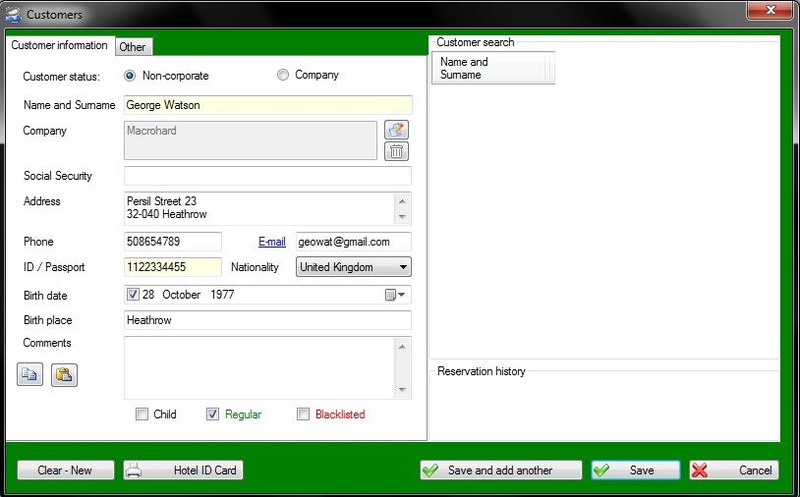 Our idea of KWHotel Free was to provide our users with a simple yet powerful hotel management software – for free. We cannot charge anything for KWHotel Free and call it “Free” anymore. We will never switch KWHotel Free to commercial version and we will never charge anyone for existing features. Can I get a CD / DVD version of KWHotel? Unfortunately, KWHotel is available only through digital distribution. I cannot print my invoices in KWHotel. If you come accross an error, when trying to save fiscal documents, you are most likely missing the Report Viewer 2005 software. What is the 'Source of information' about our hotel option In: 'New Reservation' - Other. Now you can see which ways of advertising were the most accurate in case of your accommodation facility and which require improvements. I would like to try out KWHotel Pro. KWHotel Team is very happy that our Pro version receives such positive feedback. Since it is the ultimate version of our software, we would like everyone to be able to try it out. When you place an order for KWHotel Pro version, you are automatically entitled to 2 week free trial. Even if you decide not to go with our software after trial expires, you will not have to pay any fees. If you are interested in getting KWHotel Standard trial, feel free to Contact Us. Customer list is not appearing in 'New Reservation' window. In order to maintain swift performance and stability, KWHotel does not load full list of customers when you search for them in Customers module or in reservation screen. Instead, you can find particular customer by typing first characters of his name. For example, if your customer is Leon Smith, you just have to type “Leon”. Now KWHotel will show you the full list of customers that match your criteria. 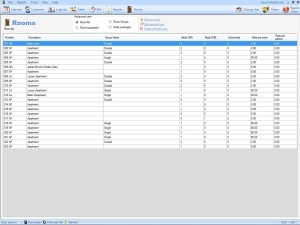 When you select desired customer, program will fill the rest of data for you. But what if your customer is named Leo Kim? Just type first three characters and press space! I cannot find an option to check in and check out my guests. Obligatory check-in and check out options force user to manually check in and check out every guest. This option is useful for those who want to have full control on the reservation procedure. In order to activate these options, proceed to Tools –> Configuration –> Obligatory check in / Obligatory check out. In what languages is KWHotel currently available? What currencies are supported in KWHotel? KWHotel gives you complete freedom in terms of using currencies. Our program operates on amounts and simply adds the sufix we determine in Tools –> Configuration –> Taxes. I have added various assortments in 'Bills' module but I can not add them to the reservation; They are not listed in 'Items and Services'. In order to speed up your work, we advise to create assortment in Bills module first. 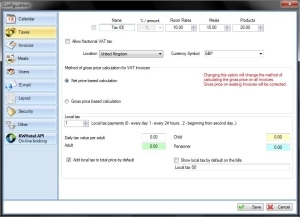 You can assign parameters such as service name, tax, validation date, unit of measurement and more. Once it has been done, you can quickly add predefined assortment in reservation screen. Simply click Goods and start typing first four letters of the assortment`s name. KWHotel will show you all options that match your criteria. 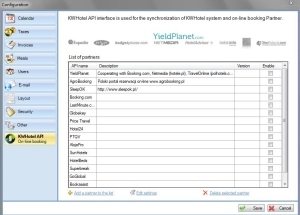 When you select desired assortment, KWHotel will fill the rest of data automatically. If name of your assortment is less than four characters, simply type them and add space. How can I check history of all documents issued for the specific customer? Edit customer whose history you are interested at. Here, on the bottom, you will notice Issued documents summary. 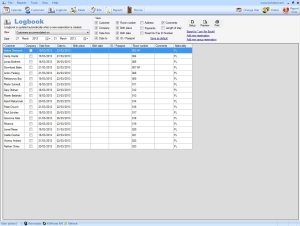 Select date range and desired document type and click Show report. It will be automatically exported to .csv format. ow can I include more information regarding my customers? 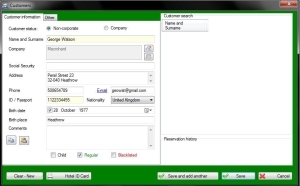 You can enhance the customer module by introducing your own fields. Those fields can contain any sort of information, including gender, airport pickup request, etc. Once you have configured particular field, click Save. Now this field will be visible in all customers. How can I include more information regarding my bookings? Once you have configured particular field, click Save. Now this field will be visible for all bookings. Additionally, you can now use those extra fields in Reservation parameters report. How can I include more information in my booking confirmation? 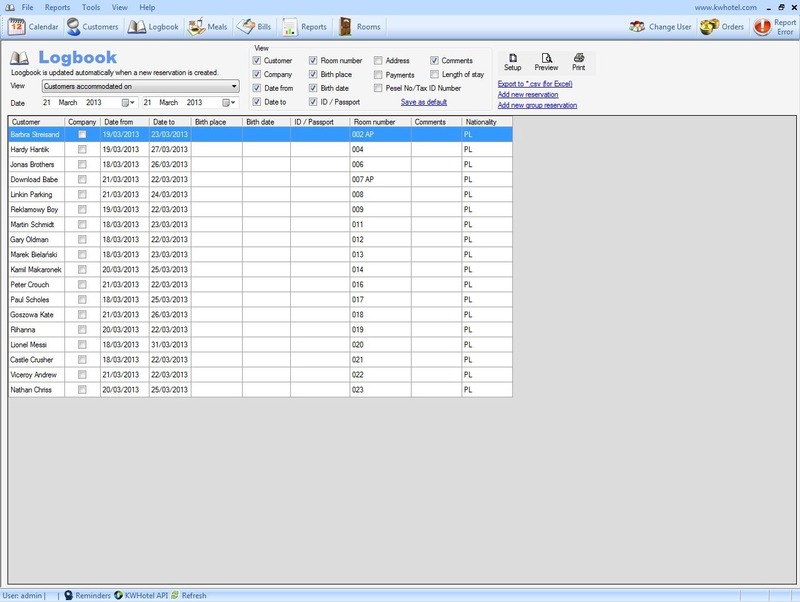 Once you have inserted any data into these fields, click anywhere on the booking confirmation to make those changes visible. Now you are good to go. 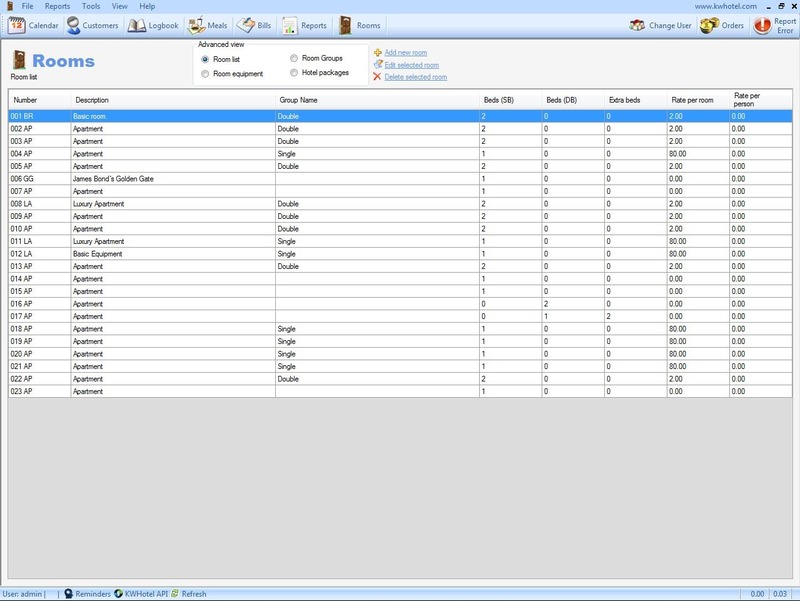 I noticed 'Reservation parameters report' in Reports menu. What does it do? Reservation parameters report is a brand new report, introduced in 0.43 version of our program. Originally designed for Apostolic Faith church, this report can be freely customised. You simply select information you want to be included in the report, determine the dates and you can either print it or save to .pdf file. It`s worth noting that additional fields from bookings will also be present here. This enables you to, for instance, print a report with all guests who request pickup from airport at the specific day and hour. Then you can hand it to your driver. Is there a revenue report available in the program? What does 'Rooms' bar do (Statistics module)? 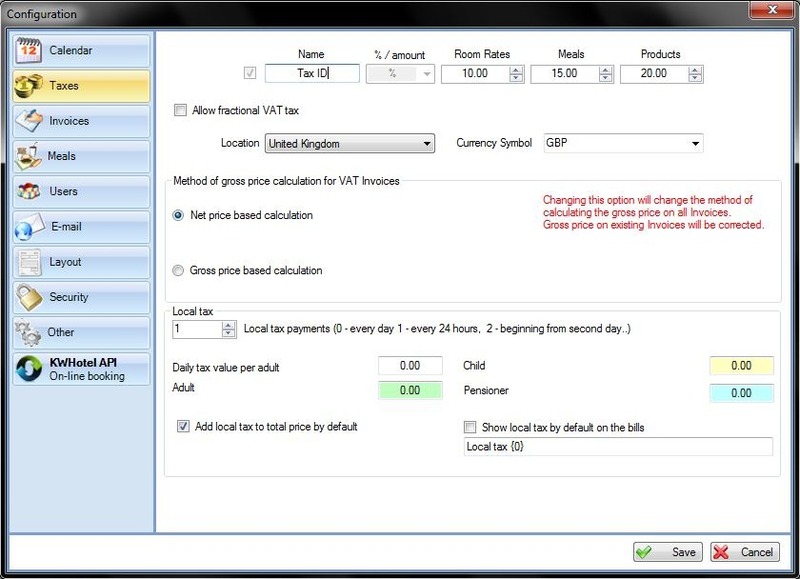 Rooms bar allows you to check payments that have been done for the given room and compare it to total expected payment. Why there are no hotel locks to be selected from the hotel locks configuration? In order to enable hotel locks module, it has to be purchased first. To acquire information regarding the price, please contact KWHotel Support. 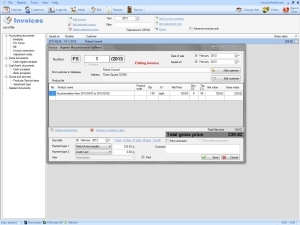 How does synchronization with restaurant POS systems work? 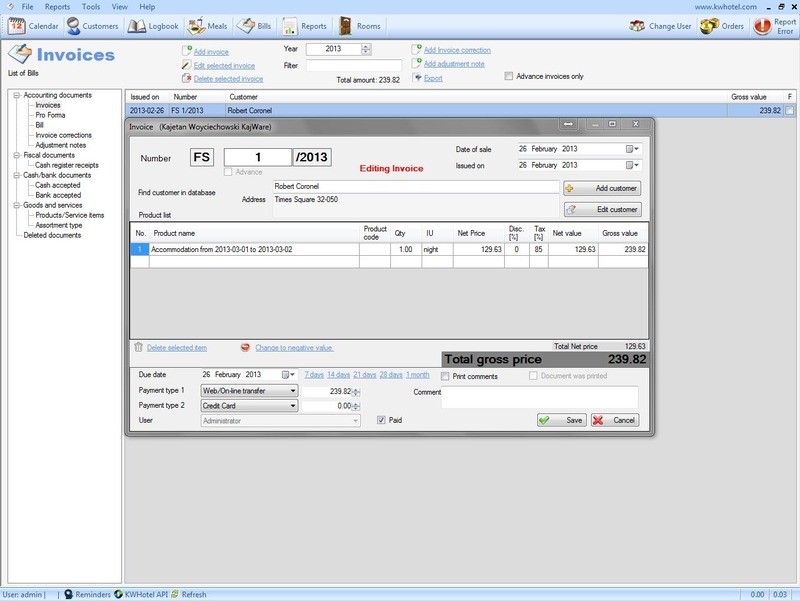 It is a simple synchronization where you can send information from Restaurant POS to our software about charges that should be applied to a specific room. 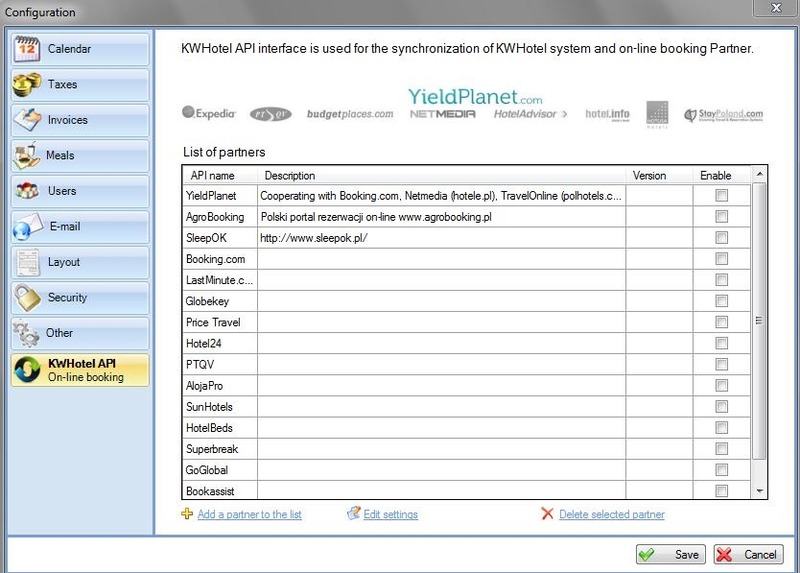 What makes KWHotel Pro the ultimate version of our software, is the network component. It uses the MySQL and MS SQL databases to ensure swift and stable connection between multiple computers simultaneously. The fact, that KWHotel Pro takes a different approach to database structure in comparison to KWHotel Free or Standard editions, implies few questions, that have to be taken into account before installing KWHotel Pro. First of all, distinction between KWHotel Free/Standard and Pro database structure makes it possible only to import data from Free/Standard editions into KWHotel Pro. It cannot be done the other way round. The second question, that has to be answered, is whether to use the MySQL or MS SQL server. Although both of them offer the same amount of complexity and performance, we recommend the MySQL server to our customers, since it is easier to configure and manage. All the manuals and information regarding KWHotel Pro are based on the MySQL server configuration option. 1. Install your database on local computer. In this case, KWHotel Pro will work very fast but in order to connect it from outside the hotel you will have to reconfigure the router. It will still be possible to connect this database through Local Area Network (LAN). The additional advantage of having the local database is that it will still be accessable when your Internet connection goes down. In such case, one of computers located in LAN will perform the role of database host. That`s where MySQL server installation has to be performed. Please bear in mind that access to your database will only be granted when the server computer is turned on. Additional advantage of LAN option is that it gives you excellent performance. 3. Set up your database on KWHotel online hosting server. For those, who wish to connect their KWHotel Pro from any place worldwide, KWHotel Team has prepared a fast online hosting service for the price of 25 Eur/year. Moreover, such solution greatly increases safety of your database thanks to automatic backup feature. Twice a day, our server creates a backup copy of your database. In case of unexpected issues such as computer crash, your database can be restored the very first moment you install KWHotel Pro. You just need to insert the access data that you have received from our company after purchasing the server. However, you have to bear in mind that performance of this solution is greatly dependent on your Internet connection. At least 2 MB/s Internet connection is required to ensure swift software performance and losing your Internet connection equals losing access to your KWHotel Pro database (For that specific moment). 4. Setting up your database on another hosting server. If your company happens to have its own remote server or you wish to buy such service from someone else, you can always do so. The performance of this solution also depends on your Internet connection. At least 2MB/s is recommended for good performance. If your Internet connection gets down, you will not be able to reach your KWHotel Pro for that time. 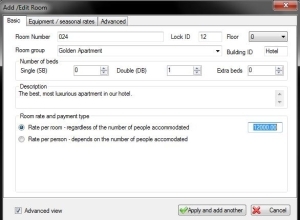 – Possibility to book reservation for multiple terms (I.e. every three days).